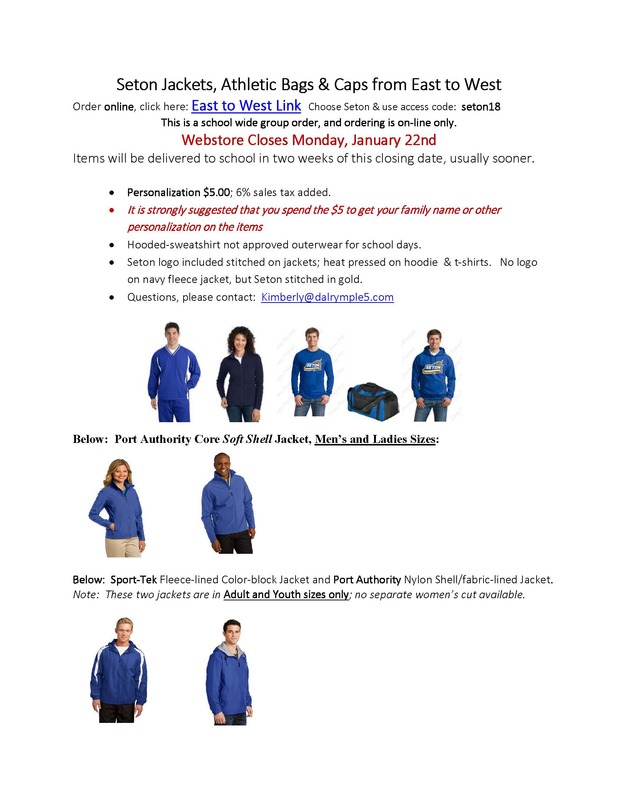 If you would like to order East to West jackets or other items, the webstore is open from now until Monday, January 22nd. This is a school wide group order, and ordering is on-line only. Items will be delivered to school in two weeks of this closing date, usually sooner. Personalization $5.00; 6% sales tax added. It is strongly suggested that you spend the $5 to get your family name or other personalization on the items so you get them back when left behind. Hooded-sweatshirt not approved outerwear for school days. 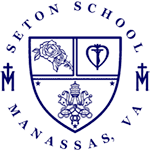 Seton logo included; stitched on jackets and heat pressed on hoodie & t-shirts. No logo on navy fleece jacket, but Seton stitched in gold.